The fun way to start learning. Trace, write, wipe! Do you want a really exciting way to practise school essentials? One where you never need to worry about making mistakes? Look no further. 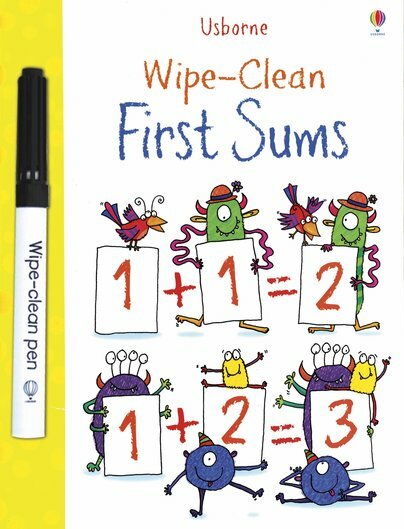 Usborne’s wipe-clean learning books are great fun to use, and they’ve got all the key skills covered. Practise your skills on write-and-wipe pages full of adorable colour pictures. Once you start, you won’t want to stop! What’s not to like?